You don’t need photoshop to make your wedding photos look stunning, just use your imagination and creativity a bit. Sometimes a beautiful place and the happiness in your eyes is more than enough. 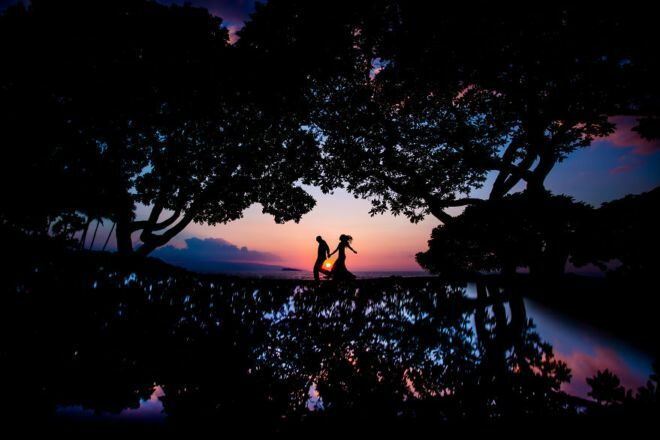 Prepare for your big day and get a few ideas while watching these award-winning pictures. This amazing picture looks like a happy ending of movie. These colors and composition really make you want to go on an unforgettable holiday with your significant other.